Using the indigenous, blanket stitch method, two halves are joined together leaving a loop for the handle and a small opening. 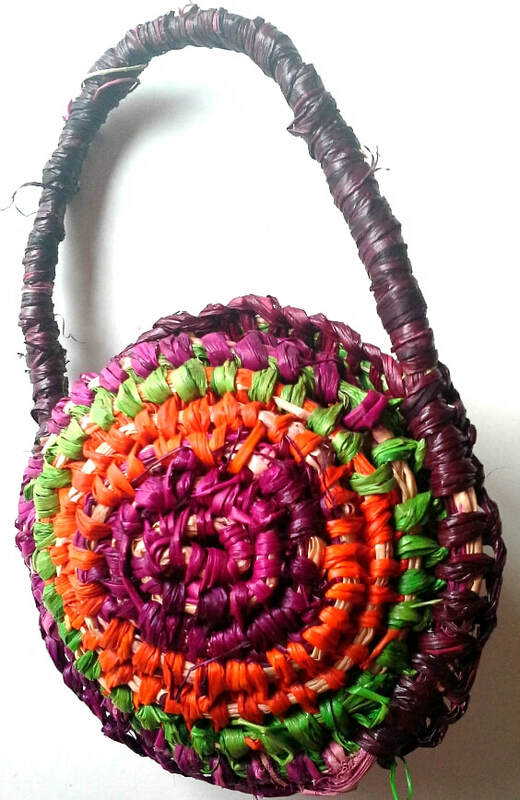 Material used for the sister baskets is raffia which is an ideal material to learn this stitching method. Traditionally native grasses would have been used to make these baskets. The session will include discussion on Australian aboriginal cultural crafts, techniques and materials. I acknowledge my teacher, aboriginal basket weaver Bronwyn Razem for giving me permission to pass these skills on.